Eamon Kelly, the 65-year-old crime boss and father of nine who was shot dead on Tuesday, lived through changes in the criminal landscape that he couldn’t have imagined as a teenager. He had come up in the era when hold-up-style bank robberies were common and gun murders infrequent. He survived into the cocaine-fuelled modern era, in which the criminal fraternity has morphed into a macho subculture where guns are commonplace and people are killed if they are even suspected of having wronged their fellow gang members. Kelly, who had once worked as a labourer, began his crime career in the 1960s. His earliest convictions were for housebreaking and shopbreaking. After initial brushes with the law he began to project an image of an upwardly mobile young businessman, eager to make his way in legitimate business. He became involved, with his brother Matt Kelly, in the Kelly’s Carpetdrome business, though it collapsed with huge debts in 1981. At this time, republican bank robberies across the State were regular occurrences, and a heroin “epidemic” was sweeping Dublin, making certain crime families rich. But by the mid 1980s, with his carpet business wound up, as well as a property business he had been involved in, Eamon Kelly had joined his peers in carrying out major cash robberies. At that time, still in his mid to late 30s, Kelly became known as a man who schooled and advised others engaged in major robberies. One of them was Gerry Hutch, who, like Kelly, was originally from Dublin’s north inner city. Hutch would go on to settle a multimillion-euro case with the Criminal Assets Bureau, which presented evidence in court claiming that he was linked to some of the biggest armed robberies in the State in the 1990s; two of those crimes netted almost £4 million. Like Kelly, Hutch left the poor inner city to settle in a middle-class neighbourhood. He currently lives in Clontarf, less than a kilometre from the home outside which Kelly was shot this week in Killester. Kelly was associating with figures in the Official IRA in the early 1980s and was jailed after stabbing a man in a row outside the Workers’ Party’s social club on Gardiner Street in Dublin’s north inner city. When he came out of prison in the mid 1980s, Kelly, now a serious criminal with a bodyguard, once again stepped back into a crime scene dominated by IRA-fundraising bank robberies. By then, though, nonparamilitary gangs were finding their feet, despite the stifling influence of the Provisional IRA. John Gilligan was specialising in robbing factories. Martin Cahill – “the General” – and his gang were proving successful at robbery-based enterprises, and the families that were among the first to corner the Dublin drugs market were continuing with their trade. As the recession of the 1980s eased and yuppie culture reached Irish shores, Kelly decided to move into the fledgling cocaine market. His plans to develop an almost direct cocaine route from Colombia to Ireland via Miami, using a Cuban female drugs mule, were new to Ireland. They were met by some equally pioneering Garda tactics. The force modified a van into a surveillance vehicle and used it to uncover Kelly’s plan. When he went to Jurys Hotel in Ballsbridge, Dublin, in September 1992 to collect £500,000 in smuggled cocaine, he was arrested and later jailed for 14 years. The details of the case seem almost quaint when set against the hauls of up to €10 million captured in recent years. The technology now at the Garda’s disposal lets gardaí eavesdrop on mobile-phone calls and read text messages without needing physical access to the phones they are monitoring. The man who led the 1992 investigation was Martin Callinan, then a detective sergeant and now the Garda Commissioner.The links to Cuba and Colombia set out in court were very exotic in the Dublin of the early 1990s, and the trial was heavily covered in the newspapers. 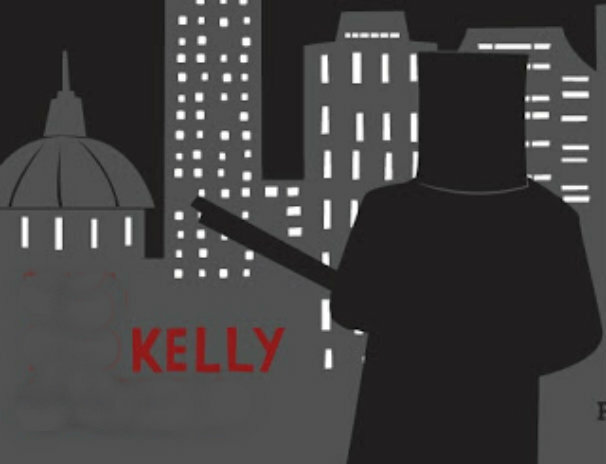 When Kelly emerged from jail for this crime, just over a decade ago, the landscape had changed significantly. The Provisional IRA now had little influence, and the economic boom had fuelled a huge drugs trade. Members of John Gilligan’s gang had shot dead the journalist Veronica Guerin, resulting in the jailing of key members, the dismantling of the gang’s cannabis network and the setting up of the Criminal Assets Bureau. The drugs market was now nationwide, and new gangs of young men in parts of Limerick and Cork had cornered much of the regional market. In Dublin, Brian Rattigan and his enemies were beginning their bloody feud in the suburbs of Crumlin and Drimnagh, and Shane Coates and the Sugg and Glennon brothers – all of whom have since been shot dead – had become the group of Blanchardstown drug dealers and killers known as the Westies. In Finglas, in north Dublin, Martin Marlo Hyland was running the biggest drugs gang in the State and the Bradley brothers, Alan and Wayne, were emerging as prolific armed robbers. The Crumlin and Drimnagh gangs, Hyland’s group, the Westies and the Keane-Collopy and rival McCarthy Dundon gangs in Limerick have all engaged in feuds in which dozens have died – a scale of death unheard of before Kelly was jailed for cocaine offences. So Kelly – robber, drug dealer, forger and gang mentor – became a sort of paid consultant to many of the new breed in Dublin. Kelly was especially close to Eamon Dunne, who took over the large drugs and robbery gang in Finglas after Marlo Hyland’s murder and who himself would be shot dead in April 2010. In the end it was that consultancy work that saw Kelly shot dead this week. When the Real IRA in Dublin began trying to extort money from some of the Dublin gangs, a number of the rival groups joined forces to fight off the well-structured dissidents. The coalition led to the murder of Alan Ryan in September. The Real IRA believed Kelly was central to organising that killing and was also frustrated that Kelly had himself refused to pay up when extortion demands were made of him. They had tried to kill him two years ago outside his house on Furry Park Road in Killester, north Dublin, but the gun jammed and the gunman ran off. But with Kelly very much under suspicion for aiding the killers of Alan Ryan, he once again rose to the top of Real IRA’s list of targets. After more than four decades in the thick of organised crime, he was shot dead outside his Dublin home on Tuesday afternoon.